All of us experience suffering in our lives and at times we feel stuck and alone in our suffering. We struggle with our feelings, thoughts, and behaviors looking for answers and find that our best efforts to cope are not working; they leave us feeling stranded. If we are people of faith, we might wonder where God is during these difficult times. We might feel forgotten. We cannot see to the next step. At SpringHaven you will find a community of licensed mental health professionals who will offer you help and encouragement during periods of suffering. In an atmosphere of peace, acceptance, and beauty, we will walk with you and help you find your way. Our goal during your initial sessions is to compassionately understand your struggles and how you have tried to resolve the problems you face. Once we have reached a common understanding of your struggles, we will work together on a plan of treatment. In the field of psychology there are different approaches we can take to help restore order in your life and to help you proceed in a valued direction. The therapists at SpringHaven are trained in a number of different treatment approaches. See our therapist profiles to identify therapists’ areas of expertise. In addition to outpatient therapy, we also seek to help by providing community education/prevention, ongoing and short-term support groups, medication management/psychiatric services, and psychological evaluation/testing for older adolescents and adult. 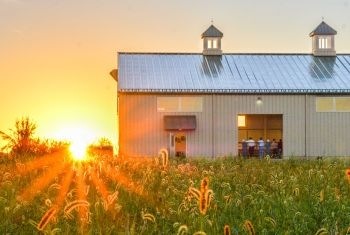 We also provide intensive mental health services for Woodside Rest, an Amish home for those in the Plain Community (Amish and Old Order Mennonite adults) who are struggling with mental health problems. A professionally licensed therapist will meet with an individual for private counseling. Another person may be invited in, only at the discretion of the client. In the case of a child or adolescent, we ask that proof of guardianship or custody be presented for those who have such. A professionally licensed therapist will spend a predetermined amount of time per session to work with the discords and conflicts experienced in your marriage, with a focus on the strengths each person brings to the relationship. This can entail marriage, pre-marriage, or mediation counseling. Couples may also be seen on an individual basis during this time. Family systems can be as unhealthy as individuals. Family therapy can address the dysfunctions of unhealthy family systems. A professionally licensed therapist will spend 45-50 minutes with a family unit or part of a family unit for the purpose of counseling the family as a whole. Members may also be seen on an individual basis. A group of clients with similar issues will meet on a regular basis for sessions led by a professionally licensed therapist. These clients will be asked to maintain strict confidentiality about the sessions. Typically, a group will consist of 4-8 clients who can help each other through the counseling process and give encouragement as healing takes place. These groups are typically gender specific; men’s or women’s groups. Sometimes a client can benefit from medications that relieve symptoms associated with psychological problems. Diagnosis and medication management of psychological disorders is provided on-site by Dr. Mark Snavely (Psychiatrist) (link) and Chrissy Fratena (Clinical Nurse Specialist) (link). Both Dr. Snavely and Chrissy Fratena are employees of Aultman hospital; they offer psychiatric services in our community at SpringHaven. Psychological testing can help a client and his/her therapist better understand the nature of the client’s psychological problem and how best to treat that problem. A full psychological evaluation often includes a clinical interview, standardized cognitive and personality tests, questionnaires, and projective measures. Psychological testing can provide important information about the client’s cognitive strengths and limitations, personality patterns, coping style, relationships patterns, and neurological functioning, as well as help narrow down the client’s diagnosis. As a result of testing, the client will learn more about him or her-self and the therapist and client will be provided with specific treatment suggestions. Dr. June Phelps conducts psychological evaluations for adults (16 years and older) at Springhaven. We understand that everyone’s experience in unique and that different people will experience the same disorder differently. These descriptions are not meant to help you diagnose yourself but rather to give our a basic understanding of some of the common issues that our therapists address. It feels as if you are carrying around a 20 pound boulder. Everything is harder; getting up in the morning, brushing your teeth, being around people – even the ones you love, reading takes too much concentration, it is hard to remember and stay focused, you can’t keep up with your work, even eating is tough. Food doesn’t taste right. Maybe you are hardly eating at all or over-eating just to cope. You are so sad it physically hurts. You feel incapable of doing what everyone else seems to find so routine and easy. You hardly ever experience joy anymore; even when you are doing the things that helped to make you feel alive and happy in the past. When it is really bad you might be plagued by thoughts of killing yourself. You have tried to cope by withdrawing from others. What if they said something that made you feel worse or what if they expected you to do something you just can’t do and you feel so raw and exposed around other people. You have stopped exercising and doing your hobbies – what’s the point. You just want to hide in bed and sleep. You feel as if you are a failure and you wonder if anything is ever going to get better. If you are a person of faith you might wonder if God has even abandoned you. If you relate to the description above it is very likely that you are struggling with depression. People can be depressed for a few weeks to a few years. Depression can come and go over the course of a life time. Often it is preceded by a very stressful event and/or a major life change. Young children, adolescents, and adults all can experience depression. When people are severely depressed they sometimes have thoughts of killing themselves or in rare cases experience psychosis (link to psychosis). Many research studies have indicated that counseling, alone and with psychiatric medication, can help alleviate depression. Treatment can help a person learn skills to address current symptoms and reduce the probability of future episodes of depression. Psychiatric medication is often an important component of treatment when depression is moderate to severe. Something horrible happened to you or someone you love and you can’t get over it. You feel like you are living in a horror movie that has no ending; you can’t escape. At night you might have nightmares about the trauma. When you are awake there are times when you feel like you are re-living the horror, as if the past has entered the present and there is nothing you can do to stop it but endure. No one seems to understand what this is like – this torture chamber. You feel cut off from those you love, detached, almost as if you are not really here, just a shadow you. It is hard to be fully here when the past invades the present at any moment. Sometimes you might wonder if there was something you could have done to have avoided the horror, to have made a difference. Did you do something to deserve this? You try to avoid anything that might remind you. You want to forget…so badly. You feel stretched so tight. Even though you want to forget and you try hard to avoid any reminders, you have to be watchful, alert, on edge. You have to be hyper-alert when your world is no longer safe. You cannot move forward. You are stuck. If this description sounds familiar you might be struggling with Post-Traumatic Stress Disorder. Several different types of treatment have been shown to be effective in treating this disorder. You feel as if you cannot escape your fearful thoughts. The same thoughts keep coming back no matter how much you try to avoid them and the thoughts produce unbearable anxiety. Just having the fearful thoughts over and over again feels like the thoughts are being realized in life, as if they are happening or about to happen. You doubt yourself. What if….. What if you act on your thoughts or you don’t act. Everything feels uncertain, unsure. You look for reassurance from those you care about. You shift responsibility of choice onto them and you feel better for the moment when they reassure you, but only for the moment. The doubt returns, the anxiety returns, the uncertainty returns, the sense of being responsible returns. Sometimes you do things to feel safe, to reduce the uncertainty and doubt. You might check over and over again to make sure doors are locked and stoves are turned off. You might clean your hands over and over again to make sure that they have no germs on them so that you do not spread germs to others. You might check over and over again that you did not hit someone with your car. You might arrange objects in your house so that they feel to you as if they are perfectly ordered. You might do or say things in a certain way and never sway from this standard routine. You also might have arguments with yourself, trying to rationalize away your fears. You might confess the same concern over and over again to a minister. You are seeking the elusive feeling of 100 percent certainty, because you could not bear it if what you feared happened. And these compulsive, warding off behaviors seem to work temporarily, but then the fear returns, even stronger. You stop going to places you used to go to and being with people you used to enjoying being with. Your life is shrinking. You spend more and more time trying to avoid, suppress, and escape your fear and less time living the life you want to live. People who struggle with Obsessive Compulsive Disorder struggle with intrusive, fear-invoking thoughts (obsessions). They often try to reduce the intensity of these thoughts by engaging in compulsive, repetitive behaviors, seeking the reassurance of others, and avoiding triggers. Sometimes people with OCD have obsessions without compulsions or compulsions without clear obsessions. If the above description sounds familiar you might be struggling with OCD. Exposure and Response Prevention (ERP) is the most researched and well-supported intervention for OCD. Acceptance and Commitment Therapy (ACT) also appears to be an effective treatment for OCD. Inclusion of family members and close, supportive others in treatment can be helpful. Psychiatric medication can also be very helpful. Do you find that you worry many hours a day about your salvation? You wonder if you have said or done something that God could not forgive. You wonder if you are leading your life in a way that is truly pleasing to God or if you are wasting the time God has given you on this earth. You have thoughts, perhaps sexual or violent thoughts, which make you miserable. You want to have pure thoughts but impure ones intrude into your mind. You believe that having the thought is equivalent to acting on it. You pray and pray that God relieve you of these thoughts. You pray that God give you a feeling of assurance that you are saved. You might confess over and over again seeking relief. You might read the bible over and over again seeking relief from your fears. But you remain uncertain whether or not you have sinned and the thoughts remain. You can’t control them but feel as if you should. You yearn for certainty. You wonder if God is punishing you. You feel guilty and ashamed. You might worry about what you say to others, afraid that your words might harm them somehow – even though you did not mean any harm. Everything you think and does carries such weight. You begin to avoid things that you care about, perhaps attending church, sharing your thoughts with others, reading the bible as a way of glorifying God. Scrupulosity is considered a form of Obsessive Compulsive Disorder (OCD) (link to OCD). If what you have just read sounds familiar you might be struggling with Scrupulosity. People who suffer with Scrupulosity often experience relief of their symptoms by being treated with a form of Exposure and Response Prevention Therapy that also includes components of Acceptance and Commitment Therapy. If a person struggling with Scrupulosity is willing, it is often helpful to include the person’s minister/pastor as well as family members in the treatment. Medication can also be very helpful. You feel as if you are not good enough, useless, worthless, and you have to hide these feelings from everyone else. No one can know your secret because deep down you know you don’t deserve help. You rely on the one thing that you can count on to keep you invisible; the one thing that has become such a part of you that you are unsure where you end and it begins. It helps you to not feel; it helps you to be strong when everything around you is so overwhelming. But you have begun to suspect that the price you are paying is too high and maybe, maybe it is killing you. An Eating Disorder often develops slowly, but eventually it can take over your life. You begin by being preoccupied with thoughts about what you are eating, your weight, and what your body looks like. These thoughts follow you around and don’t seem to let up. Often what you begin to do with your food (restricting, binging, purging, over-compensating, etc.) is an attempt to control your life or your overwhelming emotions. The things you do with food often help you to feel more in control, but ultimately, these behaviors begin to damage your physical and emotional health, your self-esteem, and sense of competence and control. Some of the warning signs include but are not limited to: a marked increase or decrease in weight not related to a medical condition; the development of abnormal eating habits such as severe dieting, preference for strange foods, withdrawn or ritualized behavior at mealtime, or secretive binge eating; an intense preoccupation with weight and body image; compulsive or excessive exercising; self-induced vomiting, periods of fasting, or laxative, diet pill or diuretic abuse; & feelings of isolation, depression, or irritability. If these symptoms and ways of coping with food, weight or body image sound familiar you might have an Eating Disorder. If you struggle with an eating disorder it is very important to work with professionals who specialize in eating disorders. Dialectical Behavior Therapy (DBT), Cognitive Behavioral Therapy (CBT), Acceptance and Commitment Therapy (ACT), and Equine Assisted Counseling (EAC) could help you in addition to seeing both a Dietitian and Primary Care Doctor. Do you find yourself worrying about many different areas of your life? You don’t want to worry but you feel a need to do something about the problems as well as find yourself unable to effectively address the problems. You feel like there is nothing you can do but worry. Worry seems to keep the feelings of helplessness and terror at bay. Are you having trouble sleeping because you think, and think some more about the problems at night, trying to come up with a solution? Do you feel like you are always uptight during the day – ready to spring to action? Are you experiencing signs of being on constant alert: muscle tension, headaches, rapidly beating heart, difficulty focusing, shortness of breath, sweating, and/or stomach discomfort? If these symptoms and ways of coping sound familiar you might be struggling with Generalized Anxiety Disorder. Several different types of treatment have been shown to be effective in treating this disorder. A panic attack can come out of the blue and seem like it is going to go on forever. Sometimes the surge of anxiety, the feeling of impending doom/disaster, the rapid beating of your heart, shortness of breath, pain in your chest, sweating, and the need to escape is so strong you wonder if you are going out of your mind or you are having a heart attack. Your body feels out of control. You feel out of control. What if someone sees you? You wonder if it will ever stop. The attack eventually does stop but then you become scared that the intense symptoms will start up again. What if….What if…. What if…. You begin to constantly monitor your body for any indication that an attack could be brewing. You think to yourself, “If I catch it early I might be able to head it off or at least leave a crowded area so no one will see me having the attack. I couldn’t stand for anyone to see me.” You begin to avoid certain places that would be difficult to escape from or certain activities that require some exertion. You have started to fear the feeling of your heart pounding or being out of breath even when exercising or climbing the stairs. Little by little your world is shrinking as you try to avoid having another panic attack. If these symptoms and ways of coping sound familiar you might have developed Panic Disorder. Effective treatment may help eliminate panic attacks. You worry that something might be wrong with your mind. You might believe that others are putting thoughts in your head that are not your own or that you are able to read other people’s minds. You are scared. You might hear a voice that is not your own, that no one else seems to hear, commenting on your behavior, telling you what to do. The voice comes and goes. You might hear whispers in the background, or music playing, or hissing, or banging - sounds that other people do not seem to hear. You might notice that objects don’t look the way they used to look; they might appear larger or smaller, brighter or duller, changed in some way. Other people don’t appear to notice. You might even see scary things – like the devil or have a feeling that ghosts are all around you. You might question if you actually exist or if you are dead. Parts of your body might feel strange or changed in some odd manner. No one else seems to notice. You might also be suspicious of other people and believe they are spying on you and talking about you. You might even begin to worry about the police or the government plotting against you. You are scared and you are afraid to talk to people about what you are experiencing. If you try to talk about your experiences people act as if your ideas are strange. You might think that you have unusually special talents or that you have a mission from God. Others might say they don’t understand what you mean or that you are rambling and not making sense. At times people you care about tell you that you are different than how you used to be, that you are quieter and more withdrawn, and that you worry them when you do speak. You feel so alone and confused. You might question whether what you are experiencing is real or imaginary. It is also possible you might experience extreme shifts in your mood - elated and then depressed or you might be extremely depressed when you are experiencing these thought problems. If this description or parts of it sounds familiar you might be experiencing a psychotic episode associated with Schizophrenia, Schizoaffective Disorder, Major Depression with Psychotic Features, Bipolar Disorder, or Delusional Disorder. First-episode psychosis usually shows up when a person is in their late teens, early twenties; often after a stressful event. However, a psychotic episode can happen at any age. Early detection is very important and can make a big difference in helping you manage your symptoms. Medication, prescribed by a psychiatrist or psychiatric nurse, is the primary component of treatment. Counseling can be very helpful. Education about psychosis and severe mental illness is also a key component. Do you worry a lot about what other people think about you? Are you concerned that others are judging you harshly and will think poorly of your performance at school, at work, or in other social situations? Are you afraid that you will say or do something that people will look down upon? Do you avoid going places or speaking up because you worry about what others will think of you or perhaps you go places because you have to and just try to remain quiet and out of the limelight. Is your anxiety getting in the way of you living a full life and participating in your community? If you answered “yes” to these questions you might be struggling with Social Anxiety Disorder. Cognitive Behavioral Therapy (CBT) which includes an Exposure and Response Prevention (ERP) component is helpful for addressing social anxiety. Acceptance and Commitment Therapy is also an effective way to treat social anxiety. Sometimes you feel like you don’t know who you are? Your view of yourself shifts all over the place. Sometimes you hate yourself. Your emotions can shift wildly as well. And you can’t count on other people either. Sometimes they seem to be there for you but often they are not. And you worry all the time about people leaving you. People have left you in the past, usually when you needed them the most, when you were in a crisis. It is hard to get what you need from people, to get them to pay attention and see you, see your pain. Sometimes it hurts so much all you can think about is stopping the pain. You have no idea how to stop the pain without hurting yourself in another way. You know you can act impulsively and damage yourself and your relationships but it is hard to hold back. What you fear is feeling because you feel so much and so strongly. Yet sometimes you feel nothing, empty, lost, without substance and that is scary too. If the above description sounds familiar you might be struggling with Borderline Personality Disorder. People with Borderline Personality Disorder often are helped by learning Dialectical Behavior Therapy skills (DBT) in the context of a caring, validating counseling relationship. During certain periods of time, for a week at a time or even more, I feel like I am run by a motor that never shuts off. I can’t sleep, can’t stop talking, my ideas jump from one place to another. My thinking can be all messed up. Sometimes I am positive that I can do things other people can’t even imagine accomplishing, but I can. I get so worked up and distracted by everything that I feel like I could crawl out of my skin. The people close to me notice. During periods like this I can make rash decisions that later I regret. It is hard for me to admit this at the time but later on I realize why people close to me say I wasn’t thinking clearly. I might spend money I don’t have because it seems like a good idea at the time or I might be sexual with someone I don’t even care about or I might get really angry over nothing. This period does not last forever. Sometimes it is followed by a period of mild depression. Other times I have a sudden drop in energy, sluggishness, feelings of worthlessness and regret. I lose interest in things. I feel half alive. It really is a rollercoaster. If the description above sounds familiar you might be struggling with Bipolar Disorder. Bipolar Disorder is characterized by major shifts in mood and energy level (distinct episodes). Often a manic/hypo-manic or depressed episode is preceded by a stressful event and/or a change in physical routine. Sometimes when people are experiencing Bipolar Disorder they can also experience psychosis (link to psychosis) or intense, agitated anxiety. Bipolar Disorder is best treated with psychiatric medication. A therapist can help a client through education about the disorder, how best to prevent the reoccurrence of mood episodes, and helping the client to work through any concerns about medication. Cognitive Behavior Therapy (CBT) in conjunction with psychiatric medication can be particularly helpful. Life Transitions such as Retirement, Child Leaving for College, etc. All of SpringHaven’s therapists are trained in a variety of treatment methods. Your therapist will work with you after your initial assessment to help determine which treatment approach will be the best fit for you. Sometimes people experience distress and psychological disorders such as depression because they have developed unhealthy, rigid thinking patterns. These thinking patterns affect the person’s emotions and behaviors. CBT focuses on helping a person identify ways in which their thinking patterns about themselves or others are not functional and accurate and to challenge those patterns. CBT also focuses on helping people make changes in their behaviors which lead to improvements in day-to-day life. Many research studies have demonstrated the effectiveness of CBT, alone and in combination with medication, to help people who are depressed, anxious, as well as those who struggle with a number of other psychological problems including severe mental illness. 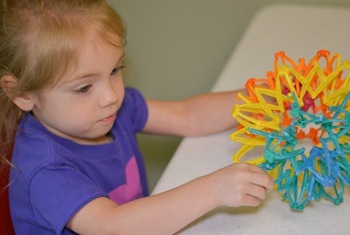 Eye Movement Desensitization and Reprocessing (EMDR) integrates carious effective psychological approaches (cognitive behavioral, psychodynamic, experiential, and body-centered therapies) with the use of eye movements or another form of bilateral stimulation such as taps. The developers of EMDR hypothesize that bilateral stimulation helps a client process traumatic information. Often when a person experiences a distressing event the memory is not fully processed and it remains in an “undigested” state. The original emotions, thoughts, and body sensations associated with the trauma get locked in the brain. When a reminder of the adverse event surfaces in everyday life the original images, thoughts, feelings, and sensations can continue to be triggered. EMDR helps the brain “digest” or “let go” of this distress. The client and counselor identify a target memory from the past that is associated with the current symptoms. As therapy progresses treatment focuses on changing the negative self-perception associated with the memory to a preferred positive belief. For example, an irrational belief, “I am helpless” would be replaced with, “It’s over, I am learning to take charge.” Complete treatment of the target involves a three pronged protocol (1-past memories, 2-present disturbances, 3-future actions), each are important to address in order to allevieate the symptoms and provide comprehensive clinical care. 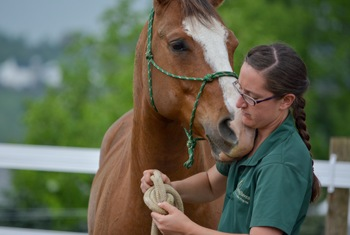 Equine Assisted Counseling (EAC) integrates several psychological approaches (cognitive behavioral, dialectical behavioral, gestalt, solution focused, plus many others) with the use of one or more horses. 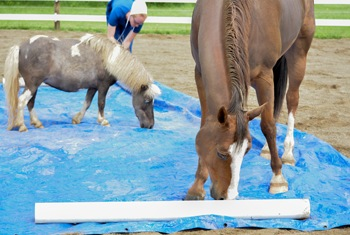 Horses are used because they are social animals and natural communicators. EAC is interactive and experiential with a specialized treatment team (licensed therapist, certified equine specialist and one or more horses), this allows the client to learn from natural successes, mistakes, and consequences. EAC is offered in addition to or in place of traditional office therapy sessions. 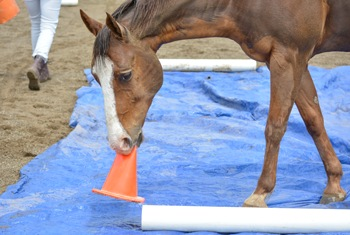 The focus of EAC is not riding or horsemanship, but rather on self-exploration, insight, skills building, and learning. There are different approaches to EAC to meet the needs of the client; whether relationship focused and/or through the use of structured scenarios. The horse and the client interact with and impact each other emotionally and behaviorally. 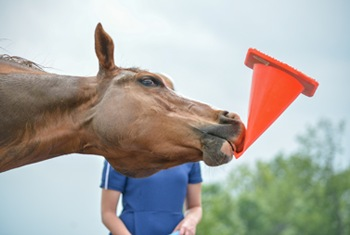 The horse’s honest emotional responses provide the client with opportunities for immediate feedback and for shifts in maladaptive, problematic, or unwanted behavior and thinking patterns. Therefore, this type of treatment can be used to treat a wide range of mental health disorders. Behavioral Activation Therapy (BA) is an evidence-based approach to treating depression. BA focuses on changing how a person responds to their environment, rather than focusing on changing a person’s thought patterns. BA is based on the idea that as a result of stressors in a person’s environment the person might typically respond by withdrawing and isolating. In an effort to cope the person removes him or herself from both the negative features of his/her environment as well as the positive features. In the short term the person feels relieved but over the long term the person starts to experience depression due to a loss of important positive experiences. The person’s world has shrunk. He or she is no longer pursuing important life goals. Behavioral Activation is a type of therapy that helps the person resume activities which used to give the person a sense of mastery, pleasure, and meaning. By re-engaging in these positive activities, the person begins to regain the vitality and purpose the individual has been missing from his or her life. Exposure and Response Prevention (ERP) is one of the most well supported treatments for Obsessive Compulsive Disorder and for other anxiety disorders such as Post-Traumatic Stress Disorder, Social Anxiety Disorder, Panic Disorder, and Simple Phobias. Many research studies have demonstrated that those who struggle with OCD and other anxiety disorders make significant progress when they participate in ERP. ERP is based on the idea that people develop anxiety disorders as a result of avoiding thoughts, behaviors, objects, and situations in their environment that are not actually dangerous. As a result of their avoidance strategies the person never learns that what they fear (e.g., their own thoughts/memories/emotions) is not dangerous and furthermore when they face what they fear, without trying to reduce their anxiety, their anxiety will lessen over time. By repeatedly facing the fear and not relying on avoidance strategies, safety-seeking behaviors, or compulsions the person learns that what they fear is highly unlikely to happen and even if it did happen the person could cope. They are able to resume a more normal day-to-day life. Acceptance and Commitment Therapy (ACT) is a treatment approach that has a strong evidence base, demonstrating effectiveness for those suffering from anxiety, depression, and many other psychological problems. ACT focuses on helping the person to stop struggling with their negative emotions and thoughts so that they can continue to move towards what they value in life. The basic idea behind ACT is that people develop psychological disorders when they are not willing to accept the suffering that is a normal part of life and in their efforts to reduce their suffering they stop moving towards what they value in life. ACT helps to change the way people relate to their emotions and their thoughts. ACT helps people to be willing to experience their emotions and thoughts without getting lost in them, to be present in the moment rather than caught up in the past or future, to recognize what they can control/change and what they are unable to control, and to take committed action in the service of their important life values. Dialectical Behavioral Therapy (DBT) is a form of therapy that focuses on helping individuals cope with stress in their lives by developing and using four different behavioral skills: distress tolerance (learning to tolerate pain when you cannot change your life circumstance), mindfulness (learning to pay attention to what you are experiencing in the present moment rather than getting caught up in ruminations about the past or worries about the future), interpersonal effectiveness (learning to establish appropriate boundaries and to respectfully consider/balance your own and others needs), and finally emotion regulation (learning to identify and change your emotional state). DBT helps the person to live effectively in the state of tension between self-acceptance and change/growth. Research has indicated that DBT is particularly effective with clients who struggle with Borderline Personality Disorder and who suffer from suicidal thoughts and impulses. DBT has also been effectively used to help those who struggle with eating disorders and substance abuse problems. Motivational Interviewing is a directive, client-centered counseling approach that helps people who are struggling with mental health problems recognize and acknowledge their thoughts and feelings about change. Often to take steps towards change a person first has to recognize their ambivalence about change and examine the pros and cons associated with change. The therapist helps the client to examine his readiness for change through warmth, perspective-taking, recognizing the client’s free will in choosing or not choosing to change, and being sensitive to and highlighting the person’s statements/reflections about change. This type of treatment is particularly effective with people who may be resistant to counseling as well as for substance-related and addictive disorders. Psychodynamic Therapy is an insight based therapy. Psychodynamic Therapy view current symptoms as coming largely from the unconscious. This theory holds that unresolved conflicts from past dysfunctional relationships, often from childhood, linger in our unconscious and creates the troubling symptoms that we struggle with (depression, anxiety…). Psychodynamic Therapy attempts to help the client gain insight into the reason for their symptoms. In this way, Psychodynamic Therapy attempts to look at the root of the issues. This type of treatment can be used to treat a wide range of mental health disorders. At SpringHaven we offer outpatient mental health services for Amish and Old Order Mennonite men, women, and children. We also provide mental health services (individual therapy, group therapy, psychiatric services, psychological evaluation, relaxation skills, and therapeutic art activities) for clients who participate in the Woodside Rest program. Participants in the Woodside Rest program live in an Amish home for the Plain people who are experiencing psychological problems. 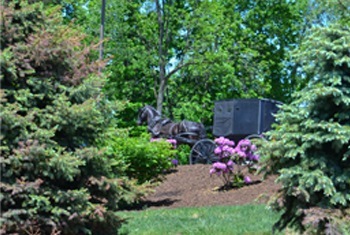 Woodside Rest provides a home-like, Christian environment and is staffed by members of the local Amish community. 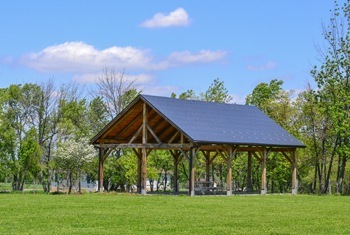 This facility is one of three in the United States that is dedicated to the mental health needs of the Plain Community. 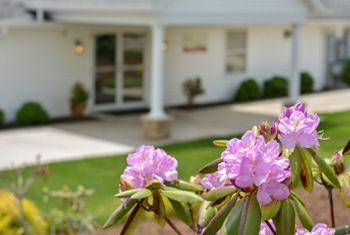 Want to learn more about SpringHaven Counseling Center? Send us a message.